The road system in the UK is not without its faults. While there are a number of good roads in the UK, there is also something to be complained about. The A509 is one of the busiest and longest roads in Milton Keynes, running from Warrington through Olney until it becomes the H5. It has just been declared one of the worst for potholes in the UK, and we're wondering if you agree with the title?! 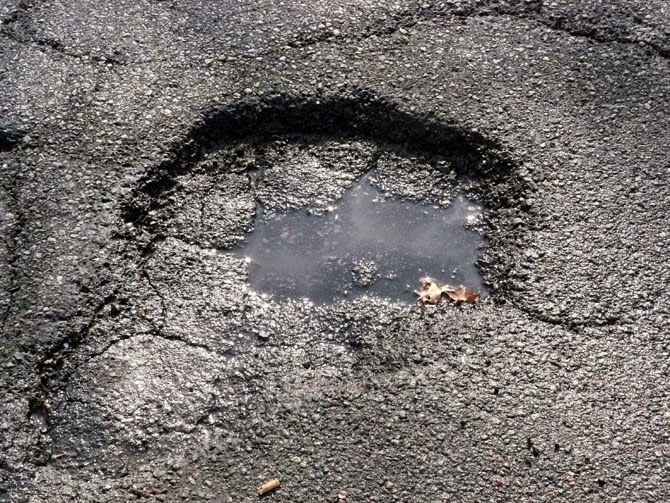 The council has apparently spent over £1.3 million on resurfacing the road since January 2012, yet while they have stated that compensation claims have dropped (although not diminished) it has still been named as one of the worst in the UK for potholes. In context, it costs approximately £30million to build a mile of motorway, according to the Highways Agency, and so in relation maybe it wouldn't seem quite so much that's been spent on repairing this long road ,if it hadn't then gone on to receive the worst road title. 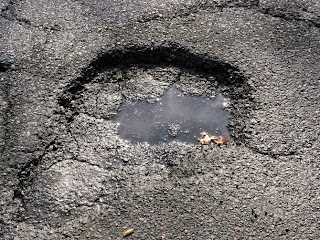 David Cameron announced on Monday that there would be a £15billion cash injection for Britain's worst roads, so maybe Olney will get a look in. Dickens of a Christmas- 1 week today! Newport Pagnell Lights Switch on- Tomorrow!